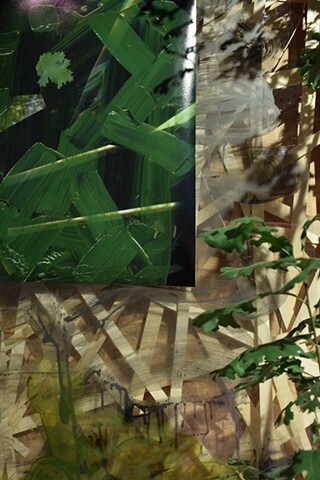 Detail of the Installation. 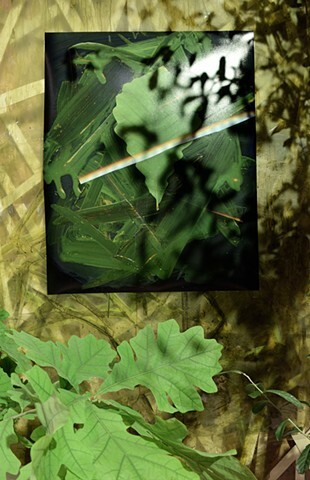 Quercus: The Constant Oak. 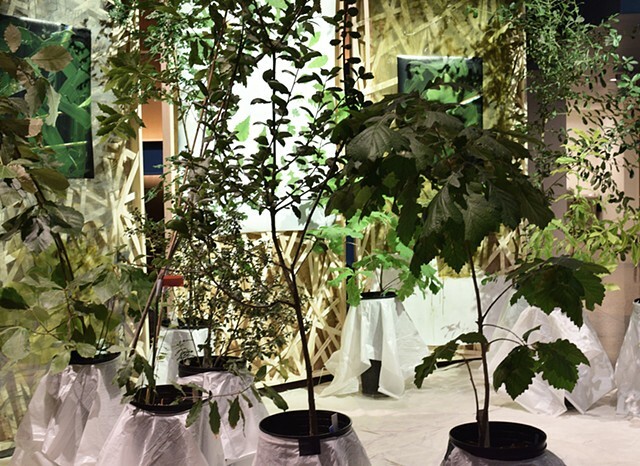 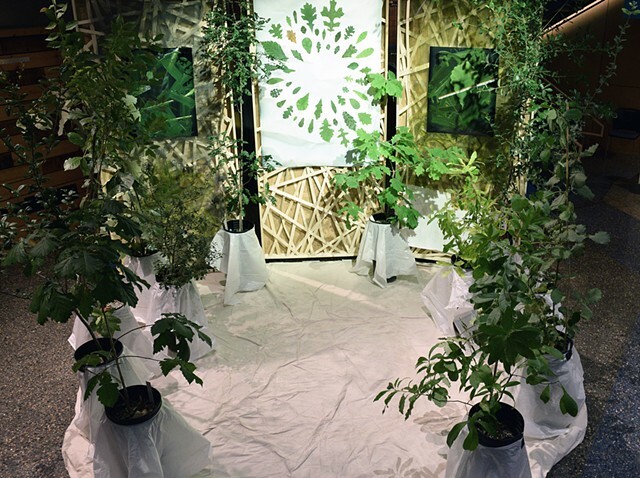 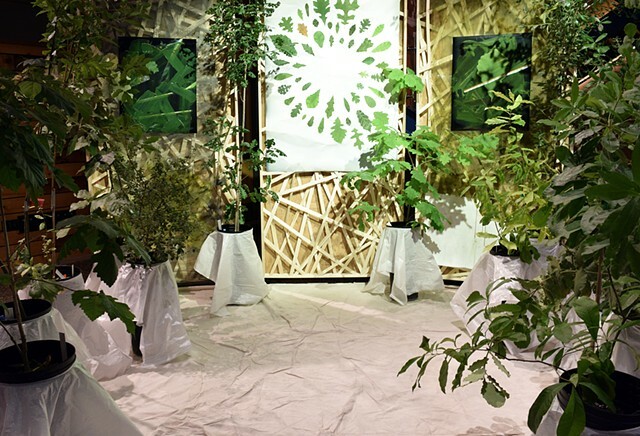 This temporary installation at Twin Cities Public Television for Northern Spark 2017 is a tribute to the integral role that Oaks play in the Midwestern landscape as a keystone species that stores carbon and filters pollutants out of the air. 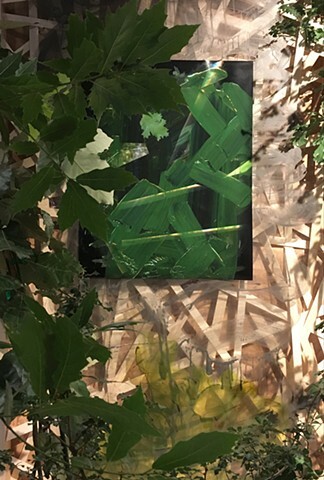 It is also a tribute to the American landscape painter Charles Burchfield who, as his life slipped away, watched a single oak leaf twirl in the winter wind. 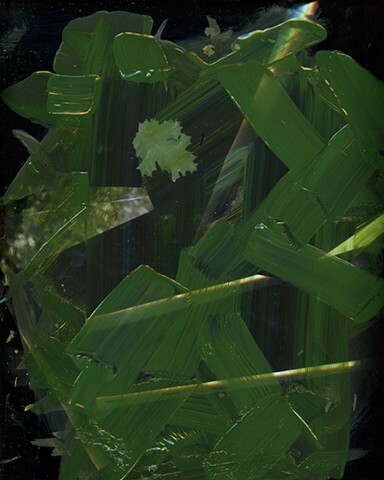 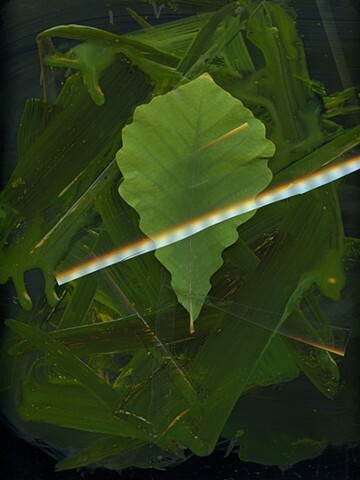 The leaf inspired one of his last paintings, The Constant Leaf (1960) and his wife Bertha eventually framed the leaf as a tribute to his tenacity. 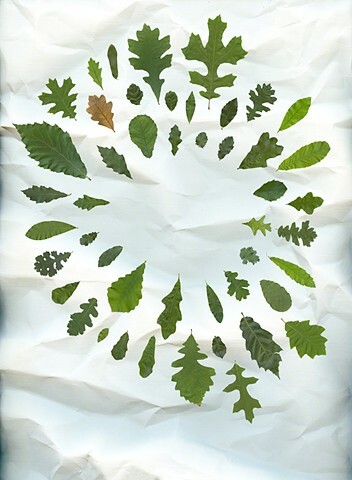 I started this project by scanning one leaf from all 52 species of Oaks housed in the College of Biological Sciences Conservatory.